Capture and share every instant, instantly. 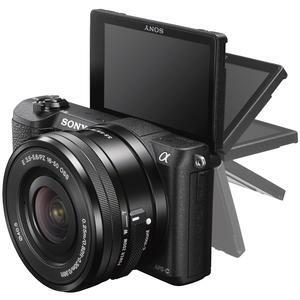 The Sony Alpha A5100 Wi-Fi Digital Camera features ultra-fast auto focus with 179 AF points and 6fps. Capture life in high resolution with the 24MP APS-C sensor. Instant sharing via smartphone with Wi-Fi and NFC. 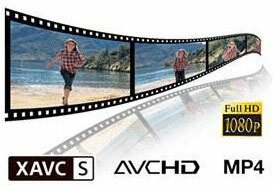 Record Full HD 1080/24/60P video up to 50MB/s. All the quality in half the size & weight of other DSLRs. 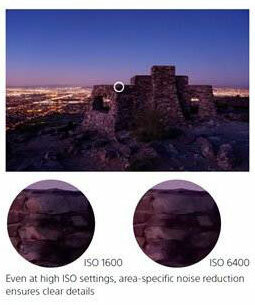 Stunning low light photos with an ISO range of 100-25600. 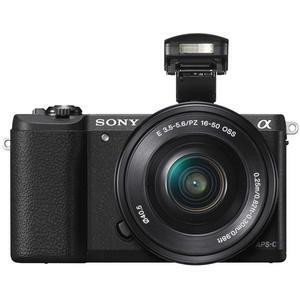 This outfit includes the compact, easy-to-carry Sony E-Mount 16-50mm retractable zoom lens. Measuring just 1-3/16" (30.2mm) when fully retracted, it is super compact and easy to carry so you can quickly whip out your camera and spontaneously grab shots as they occur. 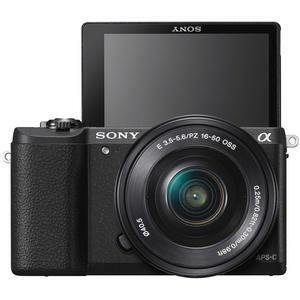 It's perfect for traveling and other scenarios that require a lightweight, compact camera and lens combo. It covers a 16-50mm range (35mm equivalent = 24-75mm) for flexible shooting, and is equipped with one ED (extra-low dispersion) and four aspherical elements, resulting in a high-performance lens that is surprisingly compact. You get incredible detail and gorgeous enlargements thanks to the newly-developed 24.3 megapixel Exmor APS HD CMOS sensor. 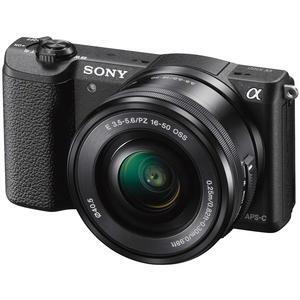 It's higher resolution than most DSLRs and adopts the same gapless on-chip lens structure as the a7R for ultimate image quality and light sensitivity. Wi-Fi connectivity allows you to control your camera with your compatible Smartphone or Tablet. Frame an image on your smartphone's LCD, and simply click the camera's shutter you're your device. You can even transfer the images taken directly to your mobile device for quick editing and uploading - sharing has never been easier. With NFC (near field communication), simply touch the camera to the compatible NFC enabled device to connect. Make movie magic with Full HD 1920 x 1080 video in cinematic 24p, or capture fast action at incredible 60p and 60i frame-rates. 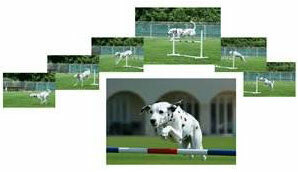 Made even easier with the A5100's 179 point AF (auto focus) system, tracking moving subjects is not a problem. Movie quality is selectable in-camera -- XAVC S for broadcast quality; high 50Mb/s bitrate, Blu-ray quality; AVCHD or simple and easier upload to the web; plus MP4 codecs are available. For serious videographers, uncompressed 8bit 4:2:2 clean-screen video files to external recording devices is possible via the HDMI connection. 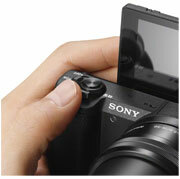 The A5100 features high sensitivity thanks to the newly developed Exmor CMOS sensor and BIONZ X processor. You get stunning detail in in low light from ISO range 100-25000. And for an additional burst of light, the A5100 features a pop-up flash. The new BIONZ X image processor faithfully reproduces textures and details in real time via extra high-speed processing capabilities delivering true-to-life images, as seen by the naked eye. It enables greater natural detail, richer tonal gradations, lower noise and more realistic images whether you shoot stills or video. 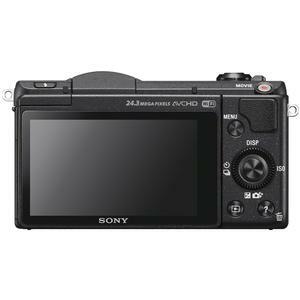 Despite its small size, the A5100 gives you full DSLR control and immediate access to the functions you need to shoot like a pro. Two dials on top and a rear-mounted control wheel allow quick selection of shooting modes and camera settings. In addition to the Fn button, there's seven customizable buttons, which can be assigned any of 474 functions. Shutter Speeds: Fastest: 1/4000 sec.